Samsung has a new headliner in South Africa, in the form of the Samsung UA88JS9500. This is a monster, 88-inch 9 Series Samsung curved TV that makes use of their new SUHD displays and it’s something that you really need to see to believe. You did read that correctly, by the way. 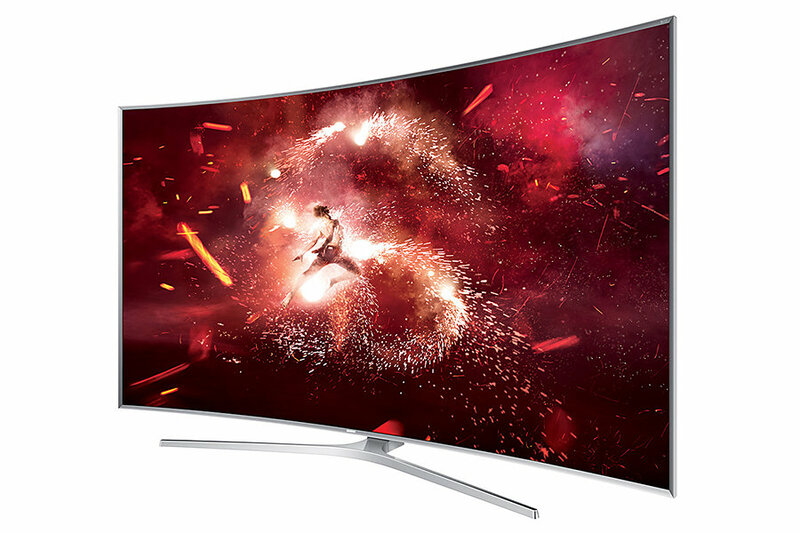 This Samsung UA88JS9500 is a full 88-inches of curved screen, with a 3840 x 2160 resolution and one of Samsung’s Ultra Clear Panels in the back. Not enough for you? How about Samsung’s Mega Contrast and SUHD Remastering Engine, for starters, as well as the company’s Micro Dimming, Precision Black and Nano Crystal Colour tech as features as well? Still not enough? Colour, depth and contrast enhancing tech is present across the board, Samsung have literally put everything that they have into this TV. That includes sound, with dual 15W subwoofers and a left and right 20W (each) speaker contributing to the integrated 4.2 channel sound setup, which supports Dolby Digital, DTS and Virtual Surround. You could add an aftermarket soundbar if you like but you won’t have to. It’s also a Smart TV to boot, so there’s a full set of supported apps, games, internet connectivity and then there’s voice and motion control built in. Nice. As for connectivity, there are four HDMI ports, three USB, Component and Composite as well as Ethernet to play with. In addition, the Samsung UA88JS9500 supports 3D, has an octa-core processor and more other features than you can shake a remote control at.